On our recent trip to Asia we spent a couple of days at Disneyland Hong Kong. We've been lucky enough to visit a few Disney parks around the world, so we were very keen to see how Disneyland Hong Kong compared. Our visit coincided with the Disney Halloween Time celebrations, which this year ran from the 14th September until 31st October. It's a small park, and Hong Kong Disneyland doesn't host a separate Halloween event like Mickey's Not So Scary Halloween Party in Orlando. Instead all the Halloween attractions are included for all visitors. It's not such a big thing as elsewhere - we didn't spot any visitors in costume for example - but there was still plenty of extra theming and attractions with a spooky theme. 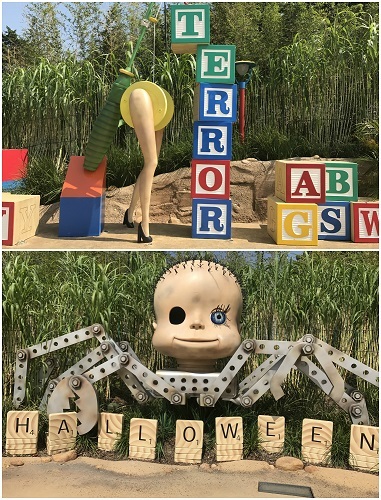 Disney really does go to town on the seasonal decorations. There were pumpkins scattered throughout the park, as well as Autumnal wreaths and other Fall decorations. In Toy Story Land I loved the scary toy theme, and Main Street, U.S.A. was beautifully dressed with autumnal colours galore. There were two parades during the day - the Flights of Fantasy Parade and Mickey's Halloween Time Street Party. Both were excellent as usual, and we found that we didn't need to wait around for too long beforehand, we easily found somewhere to sit with a good view. The Halloween Time Street Party parade stopped for a while so that children could join in and play with some of the characters, and it was nice to see characters like Mickey and Minnie in their seasonal costumes. One particular attraction specific to Halloween was the Maze of Madness: The Nightmare Experiment Continues. This was a haunted house style attraction where visitors progress in a small group through a series of rooms, being entertained by different characters and special effects. There was plenty of audience participation, but the cast members were very good about not picking on anyone that wasn't enjoying the scariness. Harry found it a bit overwhelming as there was a lot of darkness with people jumping out at you, but he loved the magical effects. Most of the dialogue wasn't in English which did make it all a bit confusing for us, although it was generally pretty obvious what was going on. There were some fun Halloween activities for younger children in the Halloween Time Festival Gardens. 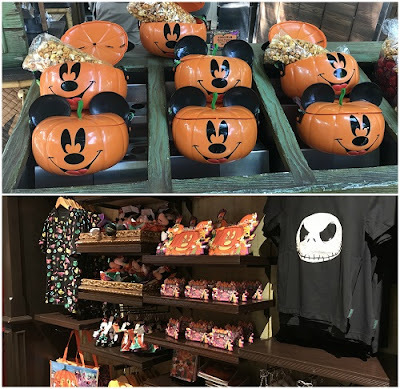 Children could decorate a bucket for trick or treating or have their faces painted, and in the evening there were dressed up cast members with some magical pumpkin cauldrons dispensing treats for children and adults alike. It was really fun to watch and the children were thrilled with their spooky Disney sweets. The whole area was beautifully decorated, with plenty of opportunities for seasonal photographs! At night it all looked amazing, with pumpkins that lit up and coloured lighting effects, including projections on all the buildings down Main Street U.S.A. In the evening, Villains Night Out! Chapter 2 took place. This was a parade of Disney villains and also incorporated a castle show with spooky projections and a live action show with plenty of smoke and fire. On our first evening we sat along the parade route and missed a lot of the action, so on the second evening we were more prepared and found ourselves a spot in front of the castle so that we didn't miss anything. Then later on in the evening we enjoyed the usual fireworks at the castle before the park closed. As always there was plenty of seasonal merchandise to purchase, both food and drink and gifts to take home. 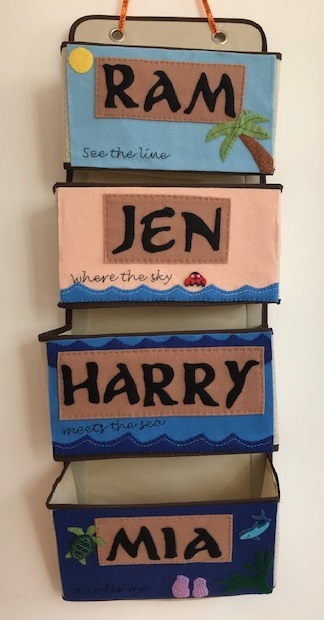 We are quite stingy I'm afraid when it comes to buying the merchandise, but we had a lot of fun looking at it all! Finally, something that we've not encountered at other Disney parks was sticker collecting. Most of the staff members at Hong Kong Disneyland were carrying a little bag filled with stickers, and if you asked them they would give you some - usually one each but occasionally a handful - and we ended up with loads! Many of them were Halloween themed with Disney villains, and there were also some lovely Hong Kong Disneyland stickers - brilliant free souvenirs and great little gifts for friends back home. 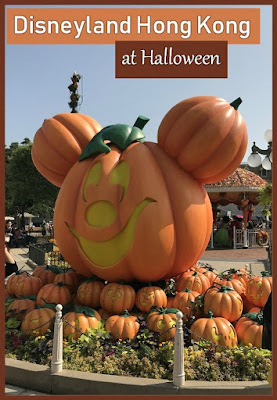 I made a short video showing some of our Halloween highlights at Hong Kong Disneyland, including some of the Halloween Time festivities like Mickey's Halloween Time Street Party, Villains Night Out! and the Halloween Time Festival Gardens. Enjoy!